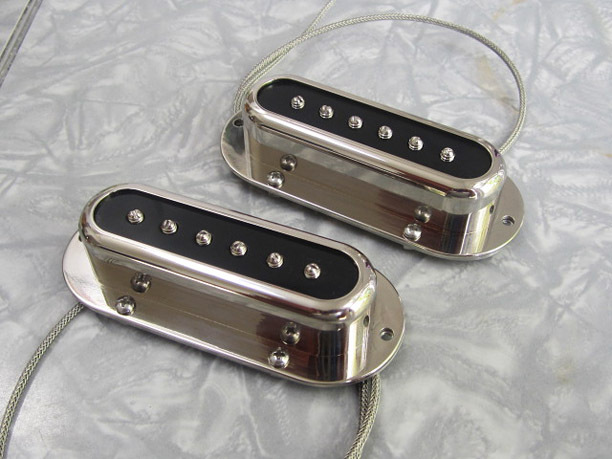 Here are the first working prototypes of my pickup design. I did a lot of research on pickup construction and materials as well as practiced winding many coils before getting to this point and I’m very happy with the results. They are fat sounding, low-output single coils with a wide frequency response. This entry was posted in Pickups by jmunnerlyn. Bookmark the permalink.